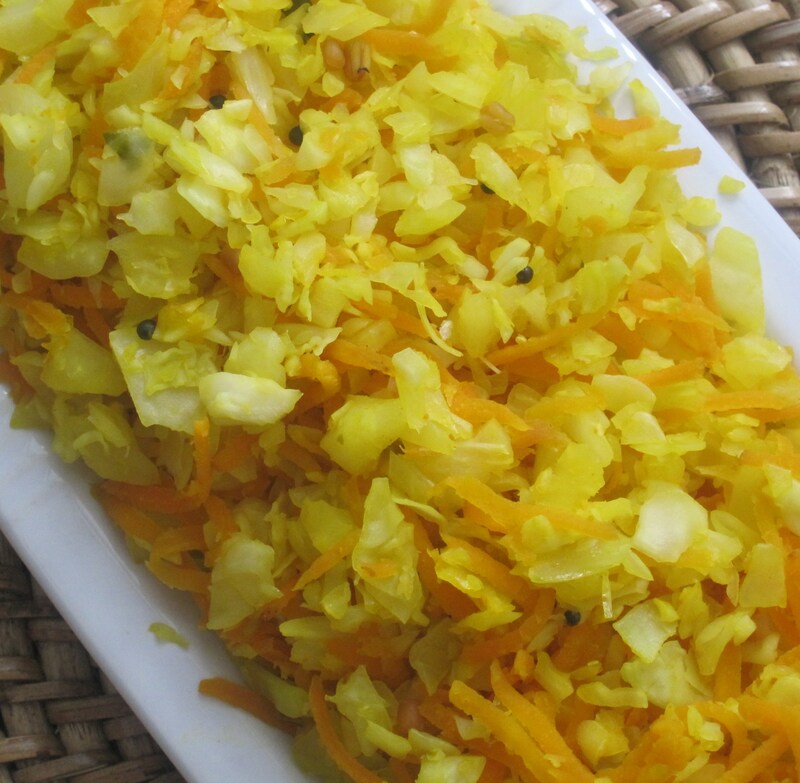 This is a variation to Cabbage poriyal. 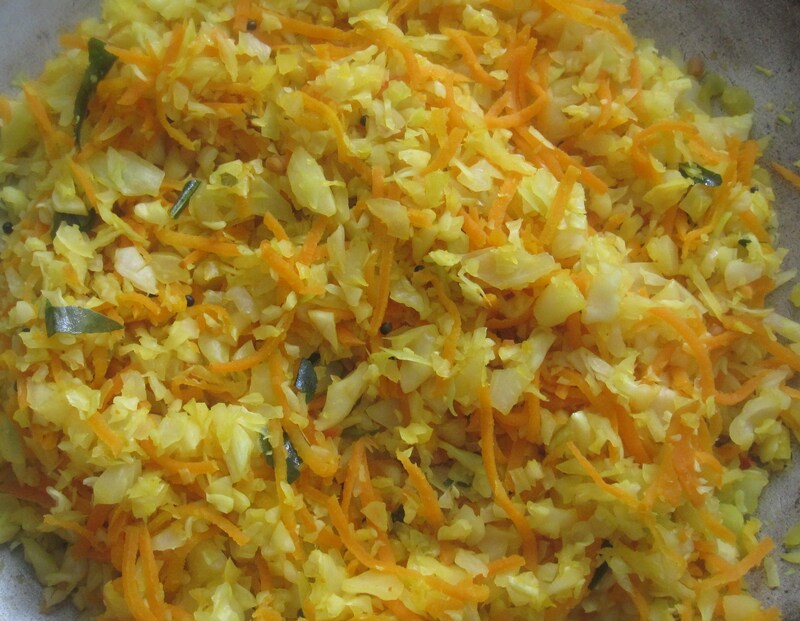 This has grated carrots added to finely chopped cabbage. 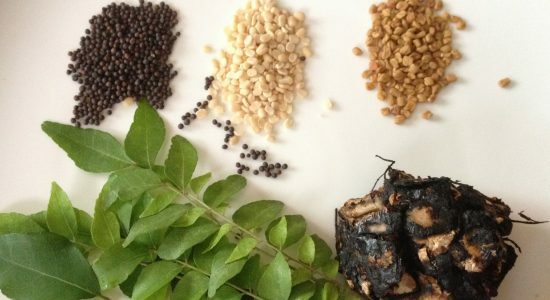 The procedure is the same as cabbage poriyal. cabbage – medium size – 1 no. onion – medium – 1 no.